Charade (1963), starring Cary Grant and Audrey Hepburn, is one of the 1001 classic movies you should see. Each Monday, I'm going to recommend a classic movie you should see (for the reasons behind the 1001 series and reviews of earlier films covered go here). February's theme is the leading ladies of Cary Grant. This week's actress is Audrey Hepburn, who appeared with Grant in the thriller Charade (1963). Charade tells the story of Paris resident Regina "Reggie" Lampert (Hepburn) who returns from a skiing vacation to find her estranged husband murdered. After three menacing men show up at her husband's funeral, Reggie is advised by an American government agent (Walter Matthau) that the men and her husband stole $250,000 in gold from the U.S. during World War II, and now they are coming to claim their share. The increasingly isolated and frightened Reggie turns to the mysterious Peter Joshua (Grant) for help, but, as the story unfolds, it becomes clear that Joshua may be in league with the thieves. Charade's circuitous path to the silver screen began when writers Peter Stone and Marc Behm tried to sell a script called The Unsuspecting Wife to old Hollywood studios. Nobody took them up on the offer, so the enterprising Stone turned the script into a serialized novel titled Charade that he sold to Redbook magazine. The new format caught the eye of director Stanley Donen, who bought the rights so he could make a Hitchcock-esque thriller with his pals Grant and Hepburn. The result was one of the top 20 box-office hits of 1963 that out-grossed popular films like Hud (1963) and The Great Escape (1963). Charade was the only film Grant and Hepburn made together. 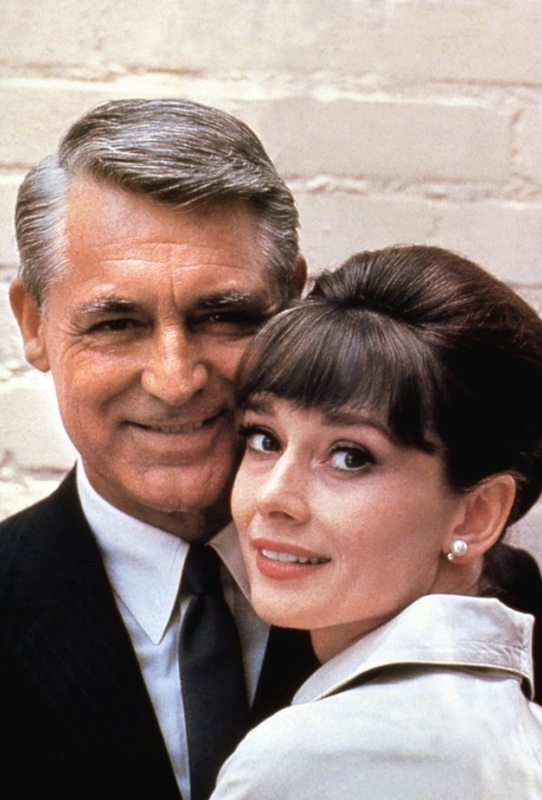 Grant, who was 59 when he made Charade, was afraid he looked ridiculous romancing the 33-year-old Hepburn, but he accepted the role after the script was changed to have Reggie pursue Joshua. In fact, Grant only made two more films after Charade -- the comedies Father Goose (1964) and Walk Don't Run (1966) -- before retiring. Even so, Charade gave Grant one of the most interesting roles of his career. He is still every inch the leading man in his perfectly tailored suits, but his role in Charade is also complex. He takes on four different identities throughout the film, which leaves Reggie and the audience wondering whether they can trust this charming but mysterious man. 1. Hitchcockian touches. 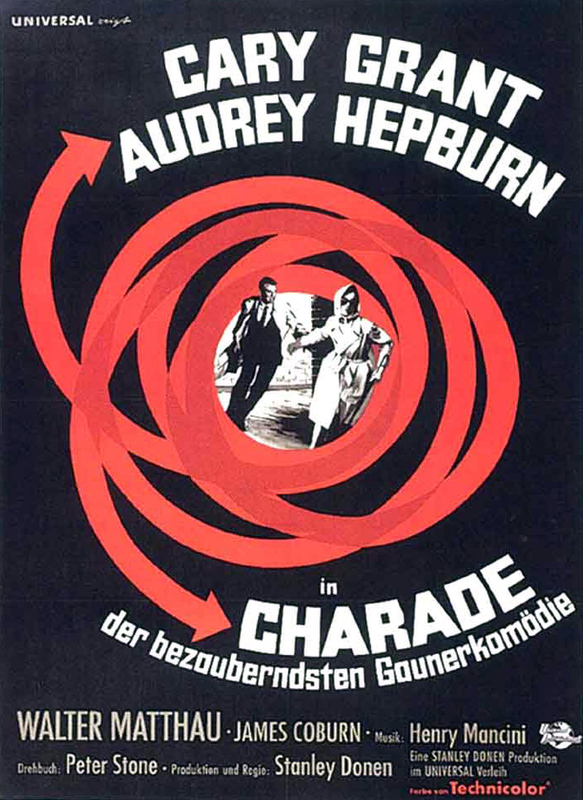 Donen always fancied making a thriller in the style of director Alfred Hitchcock, and he got his chance with Charade. Charade is both a homage and spoof of Hitchcock's work filled with the great director's signature touches like process shots, travelogue photography of exotic locales, and an innocent person being pursued for a crime she didn't commit. 2. Paris. If you don't have enough cash to splurge on a trip to the City of Lights, pick up a DVD copy of Charade. The film is filled with beautiful shots of the French capital, including Notre Dame Cathedral, the Jardin des Champs Elysees, and Les Halles market. 3. Hepburn's wardrobe. Famed designer Hubert de Givenchy created Hepburn's costumes for Charade. She looks effortlessly chic in a series of coat dresses, pillbox hats, and gloves. 4. Matthau. The actor had been kicking around Hollywood for a decade before he gained significant attention for his villainous turn in Charade. This led to bigger parts in movies like The Fortune Cookie (1966) for which he won an Academy Award. 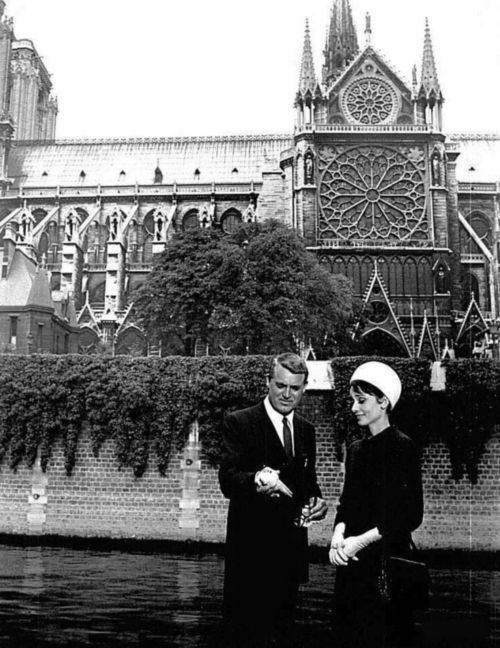 Cary Grant and Audrey Hepburn filming Charade with Notre Dame Cathedral in the background. Other critics: Charade has a 92 percent fresh rating at Rotten Tomatoes and Leonard Maltin calls it a "suave comedy-mystery in the Hitchcock vein" in a three and 1\2 star review for his Classic Movie Guide. Critics in 1963 mostly praise the movie. The New Yorker's Pauline Kael named it the best American film of the year, but the ever-opinionated Bosley Crowther of The New York Times was appalled by the "gruesome violence" in this "light-hearted picture." Charade was showing as the Christmas feature at Radio City Music Hall and Crowther worried that the movie " has so many grisly touches in it and runs to violence so many times the people bringing their youngsters to see the annual Nativity pageant and the Christmas stage show may blanch in horror when it comes on." The bottom line: Viewed today, Charade is a delightful old-fashioned entertainment that will keep you on the edge of your seat until the closing credits. Watch it for the Hitchcockian suspense, beautiful shots of Paris, and great chemistry between two old Hollywood icons. 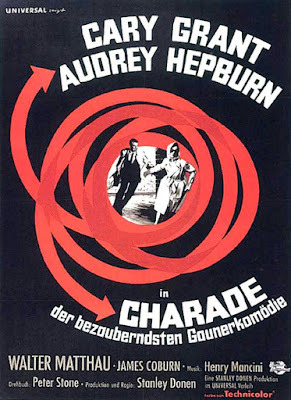 Availability: Charade is available for streaming from Fandor. Also on DVD and video on demand. Next week, I'll begin the March theme of Going Ape in Old Hollywood with the granddaddy of all monkey movies, King Kong (1933).